The Chorus by Naturepedic is a 100% Certified Organic mattress. All Cotton and Wool used in production of the Chorus meet the Global Organic Textile Standard (GOTS). An organic mattress is made of all natural materials rather than synthetic petroleum fibers and foams. Harvested materials like cotton and rubber tree sap (used for Natural Latex) are grown and produced without the use of pesticides or dangerous chemical fire retardants. Health conscious shoppers recognize the value of limiting their exposure to toxins in our food. Why should our sleep be any different? Prolonged exposure to chemicals commonly used in modern day mattresses have been linked to a variety of health problems. Organic Wool is a safe, sustainable fire retardant alternative. It’s a healthy solution that is already available. It’s Naturepedic's choice to only use Natural products such as Organic Wool, Organic Cotton and Organic Latex in their mattresses. Who should buy an Organic Mattress? Anyone seeking the benefits of a healthier lifestyle and a comfortable supportive mattress should consider buying an organic mattress. Naturepedic offers premium quality luxury bedding at reasonable prices. Naturepedic uses only U.S. grown and Certified Organic Cotton. This natural fabric is breathable and comfortable. USDA Certified, Organic Cotton is durable, yet it remains soft to the touch. It stretches and conforms for added comfort. Wool is not only a great heat regulator, it acts as a natural flame barrier. It has the unique quality to char but not burn for long periods of time. Wool meets Federal fire safety standards; without the use of dangerous chemicals. Naturepedic's wool is GOTS Certified. PLA's are plant based materials, made from non-GMO plant starch. PLA is buoyant and breathable. They are often used in food packaging because they have no off gassing issues. Individually wrapped in GOTS-approved polyester fabric, these high density coils allow for great conformity and additional air flow. Construction allows unit to be produced without the use of glues. Individually wrapped, these high density coils allow for great conformity and additional air flow. like the support coils, micro unit allows is produced without the use of glues. Cushion Firm: The Chorus is produced in what Naturepedic refers to as a Universal Cushion Firm. It's designed to appeal to the widest spectrum of sleepers. 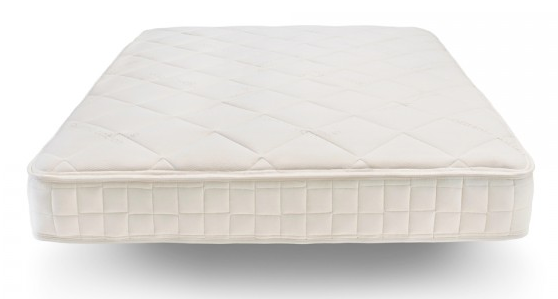 It's ideal for back, stomach and side sleepers who still appreciate a firmer feel. However, if you are in search of a softer, more luxurious experience, this mattress may be a bit too firm for the shoulders and hips. In which case, we recommend you explore the Essentials, EOS or Luxury Series. There you will find a broader comfort range sure to meet your needs. Foundations: Optional 7", 4" and 2" foundations are available. Note, heights are typically 9" and 5.5" for standard and low profile foundations. This slightly shorter measurements of both standard and low profile foundations might be advantageous for those of smaller stature. However, if you use a bed skirt, you will need a more customized height as they are designed for 9" foundations. 10 Year Limited Warranty - Records show that Naturepedic has a relatively low amount of service claims. Of course this is a byproduct of producing a quality mattress. A Warranty is only as good as the company who honors it. Naturepedic has a long standing record of great service. Delivery fees are broken down into 4 categories: Freight Curbside, Freight Threshold, In Home Setup (Continental U.S.A.), or In Home w/ removal (Continental U.S.A.) The purchase of a mattress only will ship ground; or freight with the addition of a foundation. See Naturepedic.com for delivery prices and details. The Chorus has a 30 day money back guarantee. This offer is valid if purchased direct from Naturepedic. If dissatisfied, you may return your mattress for it's original price less all shipping charges. For purchases made from a retailer, you will have to refer to their terms and conditions. The Chorus, is Naturepedic’s introductory Luxury Firm Organic Mattress. This Certified Organic mattress is made from the finest natural materials. It’s ideal for older children and adults who suffer from allergies. The Chorus also creates a healthier sleep environment for anyone seeking a more natural way to sleep. No chemical Fire retardants or dangerous, polyurethanes or pesticides are used in production. Solid support stems from an 8” encased spring with a 1.5” micro coil layered on top. The combination provides superior support, reduces motion transfer, and increases airflow for a cooler more comfortable sleep. Organic cotton, Organic Wool and PLA plant based foam offers just enough pressure relief to create a true Luxury Firm feel. The comfort level is ideal for most back, stomach and some side sleepers. No one comfort feel is right for everyone, as with any mattress, your size, weight, age and physical condition play a role in individual comfort. A firm mattress will feel even firmer if you are a smaller person or have other health related aches and pains. A medium firm covers the broadest spectrum of comfort feels. However, if you are a side sleeper who wants a super plush cushion for the shoulders and hips, you may want to consider another option. Check out the Essential, EOS, or Luxury editions for adjustable, custom comfort. Superior Support System: Individually Warped Pocketed Coils provide excellent support and alignment. A top layer of Micro Coils are added are added for more support and conformity. The combination promotes air flow and keeps you cool and comfortable. Organic Wool is a natural heat regulator. It wicks away moisture and keeps you cool. Wool is also creates a natural fire barrier. No chemical flame retardants are used. Organic Cotton has a soft hand but is very durable. Cotton is also breathable and sleeps cool. Great for Allergies: Certified all Organic materials allow you to rest easy knowing you have purchased the most natural mattress available. No Off Gassing: The natural materials used in production of the Chorus, emit no dangerous toxins. Natural Wool is known to have a slight scent when new. It has been described as sweet or musty; depending on your perception. Any odor dissipates quickly and has no harmful effects. Limited Comfort Options: The Chorus is only made in a Cushion Firm. Although this will accommodate a wide range of sleepers, some side sleepers may find this mattress too firm. Delivery Cost: Naturepedics delivery price is higher than standard charges for most online mattress companies. However, the overall cost savings vs most other organic companies offsets this price. 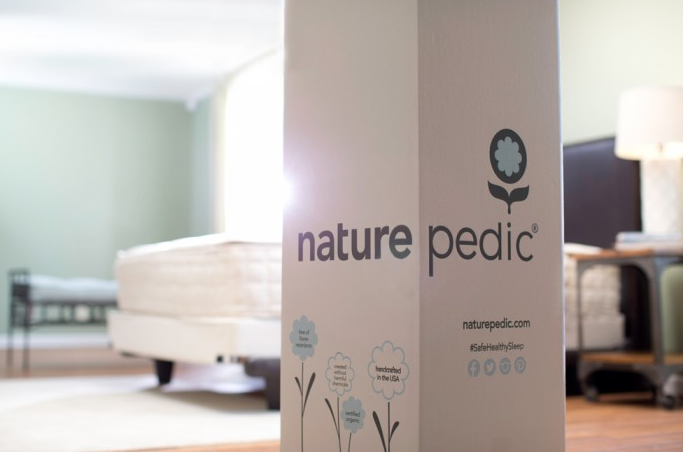 Price: You will pay more for a Naturepedic mattress than typical online offerings. When compared to most organic mattresses with similar specifications, it is an exceptional value. Is the Chorus right for you?